Email marketing is one of the most important marketing niches these days giving brands close contact with their leads and clients. Email marketing strategy is certainly one of the fields in which you should constantly improve yourself and learn new things. Luckily for all of us, there are many awesome email marketing blogs on the web providing insightful news and great tips on email marketing. CampaignMonitor is an email marketing software which offers an array of email marketing solutions to businesses. The popular provider of email services also maintains a blog which should certainly make it into your list of email marketing blogs to check on a regular basis. 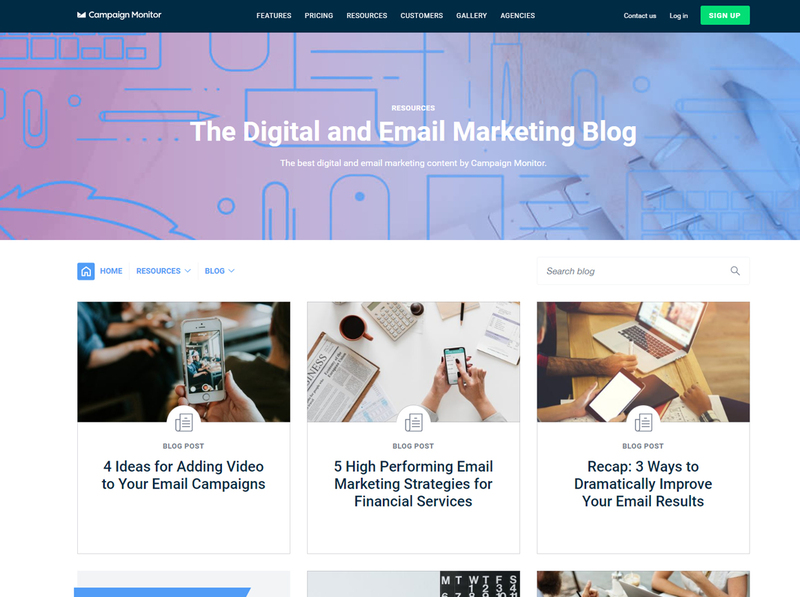 In their blog, Campaign Monitor covers a wide range of email-related topics including email marketing tips, tech issues, how-to tutorials, trends, predictions, as well as new features and company updates. MailChimp is a very popular ESP providing various email marketing solutions to businesses of all sizes and shapes. 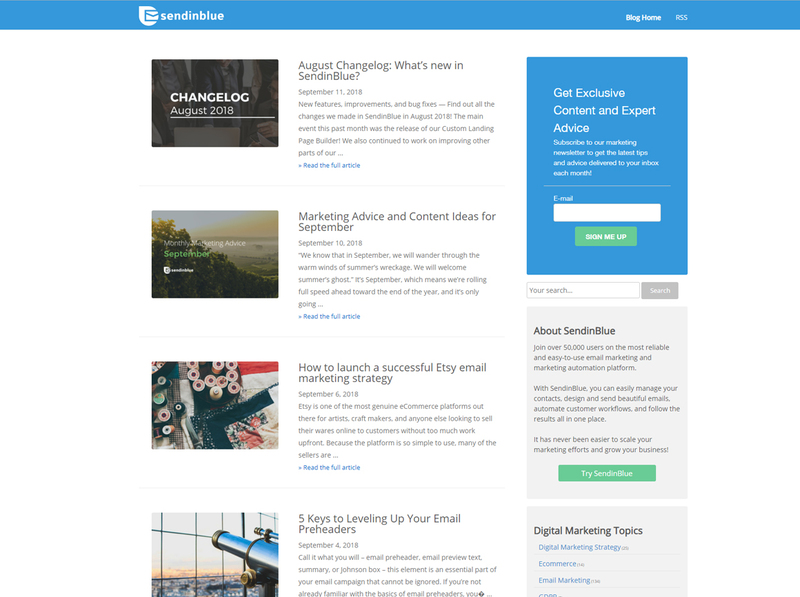 Undoubtedly, MailChimp’s blog is one of the must-follow email marketing blogs if you want to get insight and useful information in the field of email marketing. 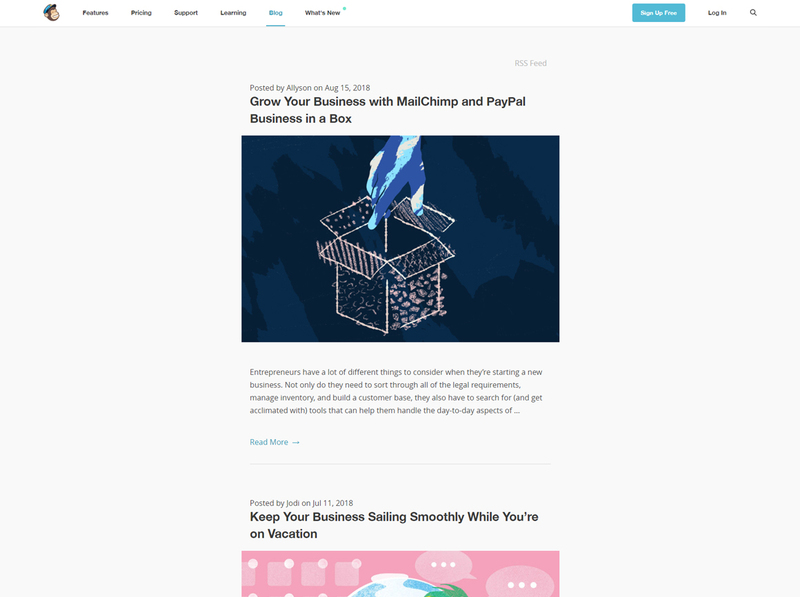 Since MailChimp posts a lot about their company culture, as well as software news and updates, you will find MailChimp’s blog content extremely useful if you are using their services. 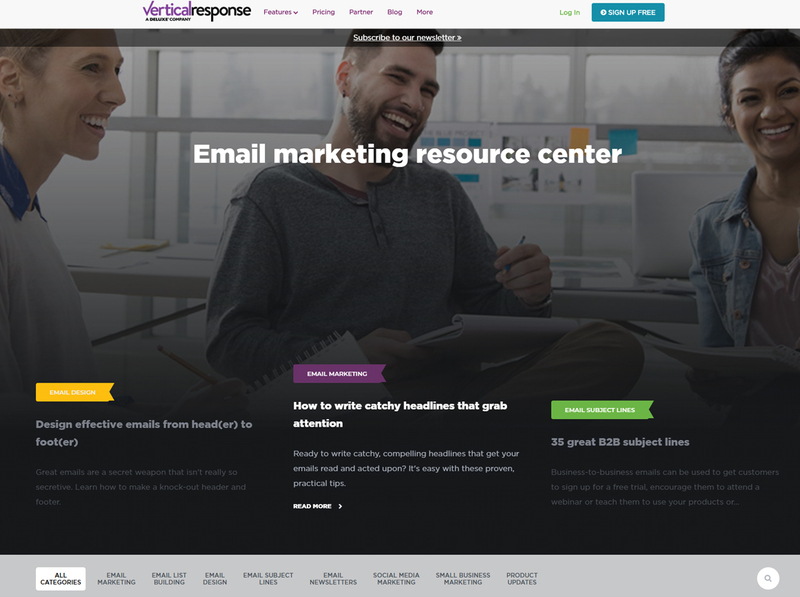 VerticalResponse is a provider of full email marketing services covering everything you need in order to create, send and monitor email marketing campaigns. On their awesome blog, they not only post email-related content such as email marketing tips, email subject lines, email list building, etc, but also small business marketing tips, social media marketing, product updates and more. The handy navigation on the left lets you filter blog posts by content type such as articles, infographics, case studies, videos, ebooks, etc; by topic types such as best practices, email inspiration, how-to, tips and tricks; and by a level of expertise – beginner, intermediate, advanced. GetResponse is a platform offering solutions for email marketing, marketing automation, landing pages, webinars and more. They also maintain a great blog covering subjects like marketing, automation, platform, productivity. You will also find infographics, whitepapers, case studies, and webinars. GetResponse keeps the content of their blog fresh with tips and insight that will certainly come in handy for your overall email marketing strategy. And if you are a GetResponse user, you will find their platform’s features and updates posts very useful. 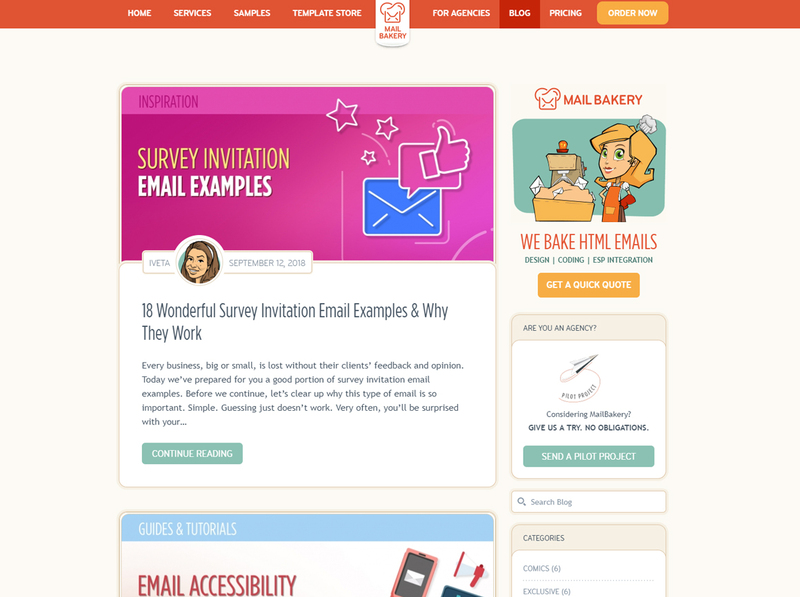 MailBakery is a service dedicated to coding email templates and newsletters, as well as designing all kinds of email marketing templates. 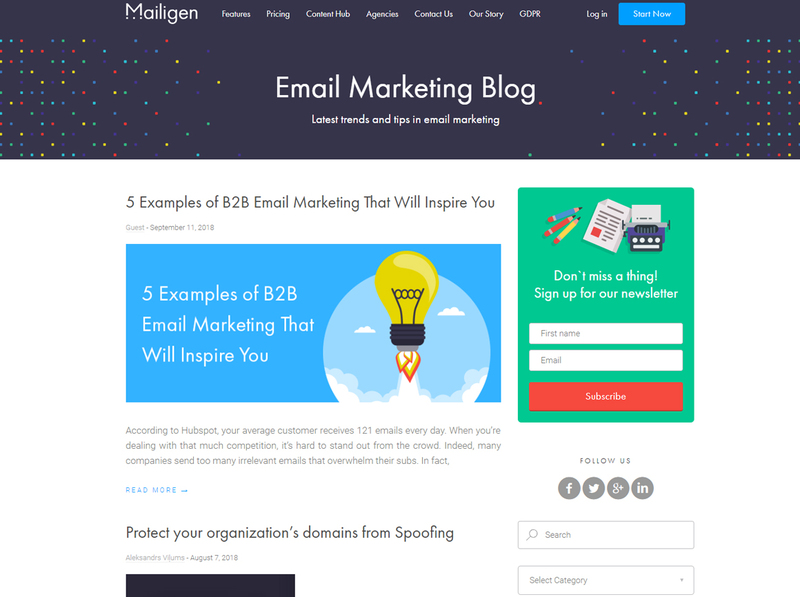 MailBakery’s blog is fully focused on email marketing. 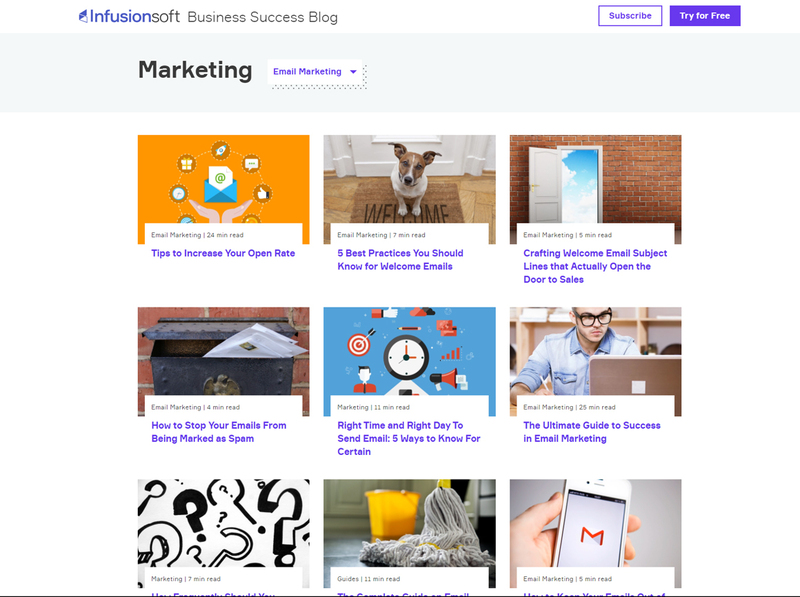 Follow the blog to regularly get big doses of email marketing inspiration, insightful advice on various email marketing topics, and useful email marketing guides and tutorials. 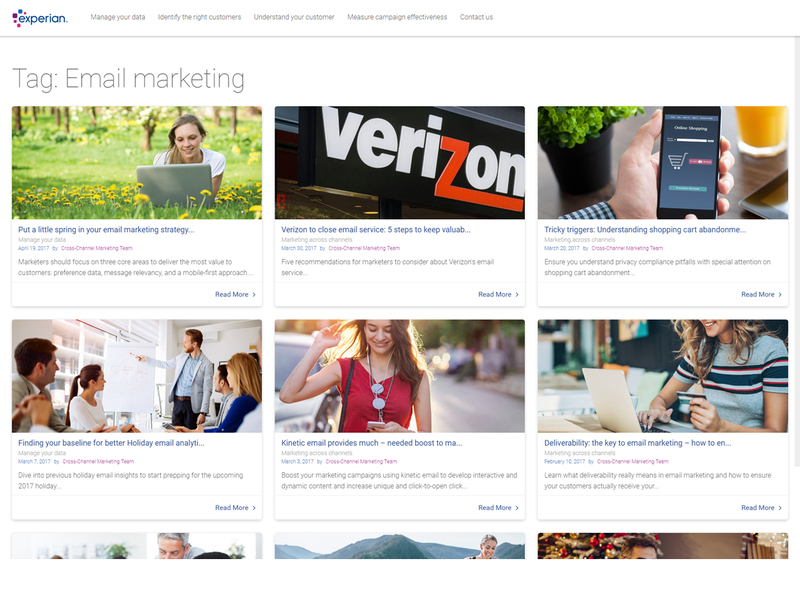 Marketo is a popular provider of marketing automation services including lead management, email marketing, consumer marketing, customer base marketing, mobile marketing and more. The brand maintains a blog with great content that can help you boost your overall marketing strategy. Once in the blog, you can choose a category from almost 30 different marketing categories including email marketing, marketing automation, marketing budget, lead marketing, customer marketing, and many more! 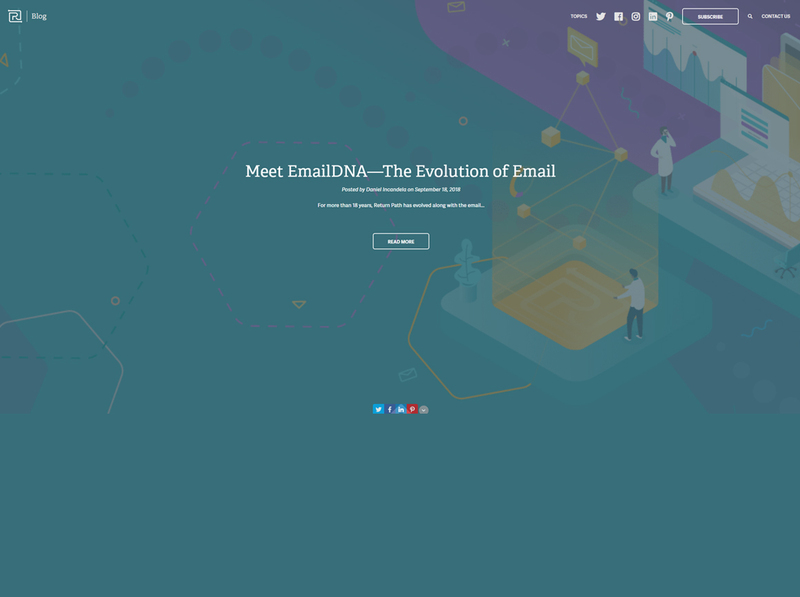 EmailonAcid is an email testing platform which lets you test your email on over 70 email clients and devices, thus making sure your template will look great to all your recipients. The brand maintains a great blog with fresh content uploaded every few days. You will find topics on email marketing and email development, as well as industry news. 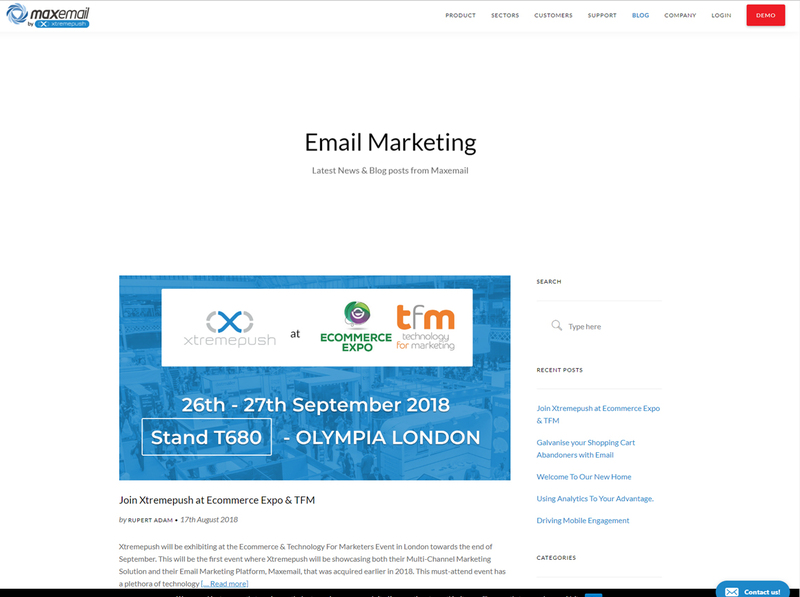 All blog posts by EmailonAcid are quite useful in improving and adjusting your own email marketing strategy, so this is definitely one of the email marketing blogs you should follow. MarketingProfs is a marketing media providing education on all fields related to marketing such as advertising, brand management, content, customer behavior, pricing, market research, and many more, including email marketing, as well. On MarketingProfs you will find trustworthy information on topics related to email marketing not only in the form of articles, podcasts, online seminars, tutorials, guides, and reports. MarketingLand is a media for digital marketers publishing everything about the marketing industry: from breaking news to industry trends, product announcements and updates and more exciting news from the marketing world. 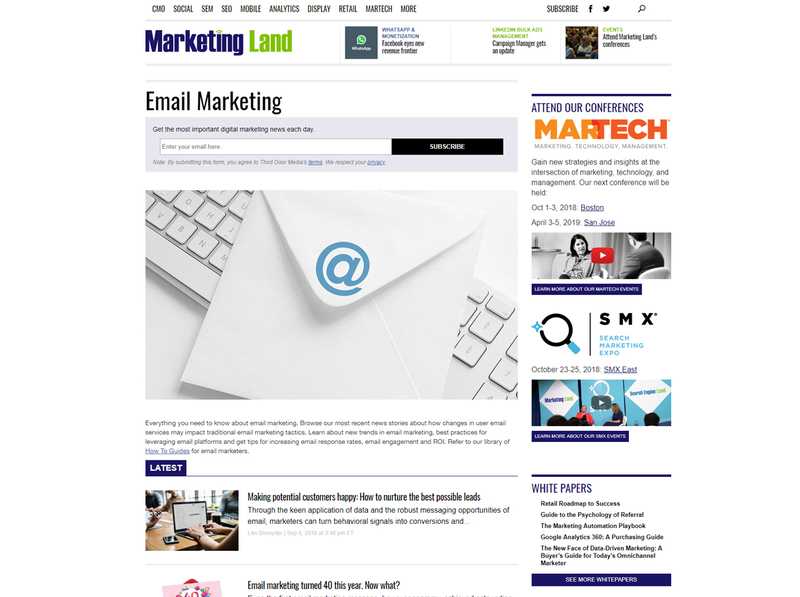 To keep yourself updated on all that’s happening in email marketing industry, keep an eye on this section at MarketingLand, and why not even subscribe to receive daily email marketing news right into your inbox. MailJet offers various marketing solutions such as automated emails, automated SMS, and more email tools that help teams collaborate on, send and monitor email campaigns. 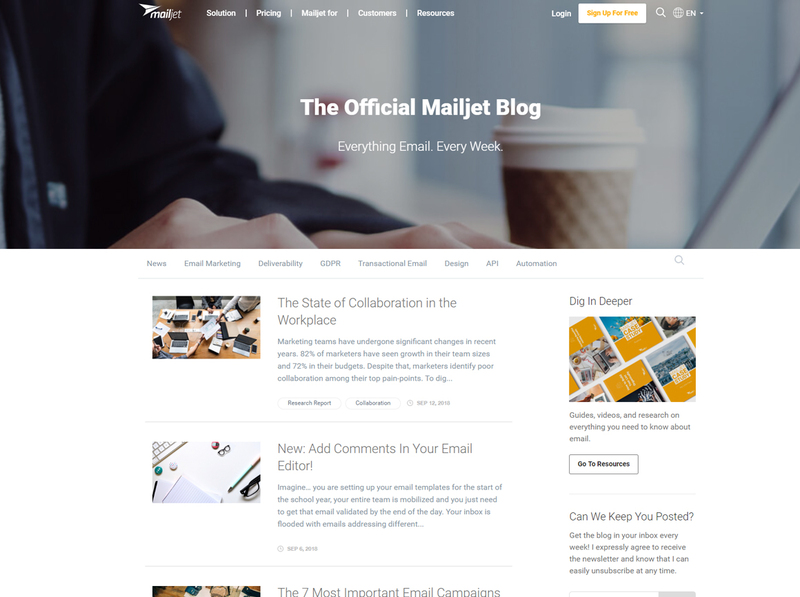 MailJet also has a great email marketing blog in which they post on a regular basis. You will find useful tutorials and insightful tips on all kinds of email related subjects like open rates, A/B testing, email lists and more. 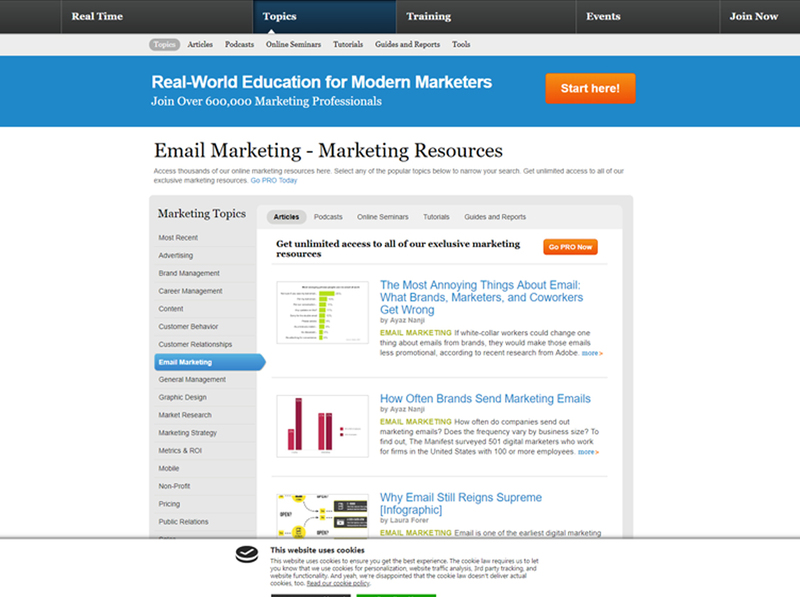 HubSpot is a very well-known platform which offers software for various marketing solutions. The brand is also known for their awesome blog which covers all kinds of topics related to marketing, sales, and services. 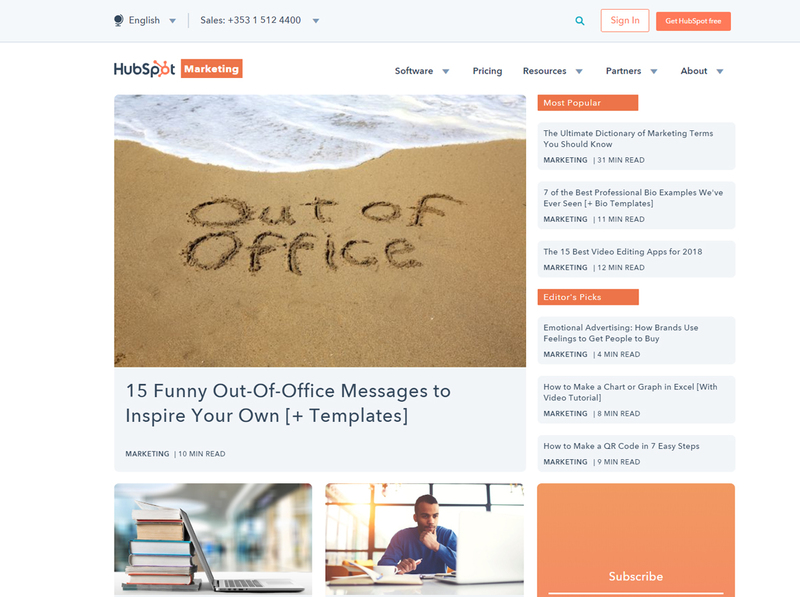 Certainly, HubSpot’s blog is one of the biggest blogs every marketer should follow. The brand has established as a big name in the marketing industry and a trustworthy source of information. 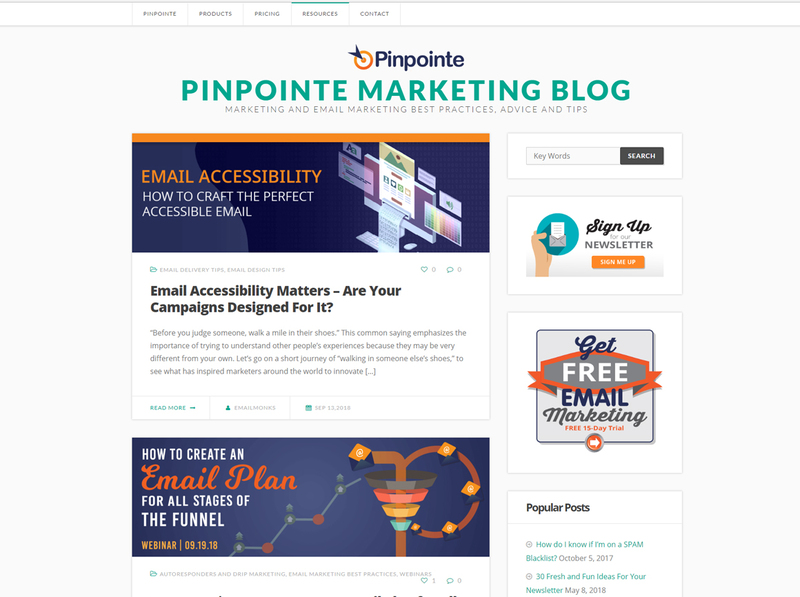 Pinpointe is a provider of advanced solutions for email marketing including an array of tools for creating, sending and monitoring email campaigns which come with many handy features. On Pinpointe’s blog, you will find articles on marketing and email marketing, infographics, webinars, and other content purposed to help you carry out the perfect email marketing campaign. 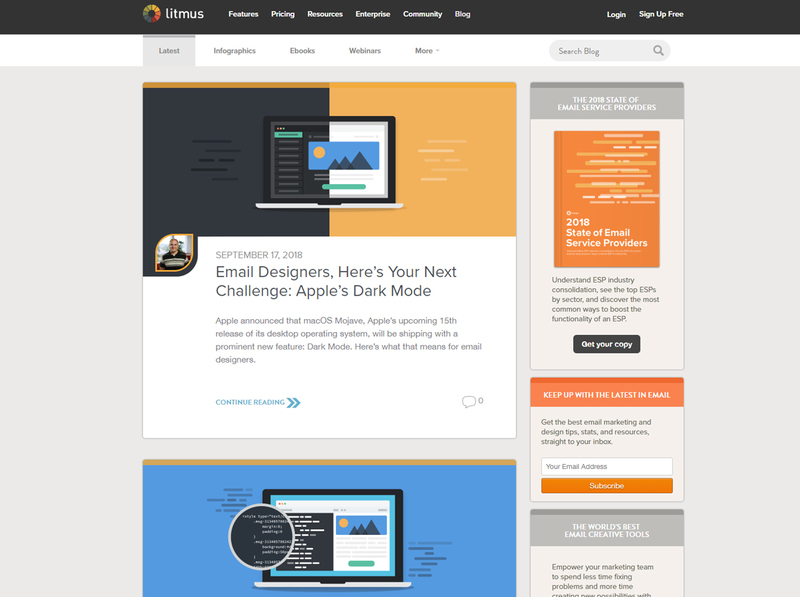 Litmus is a well-known platform for testing email templates on various devices and screens. 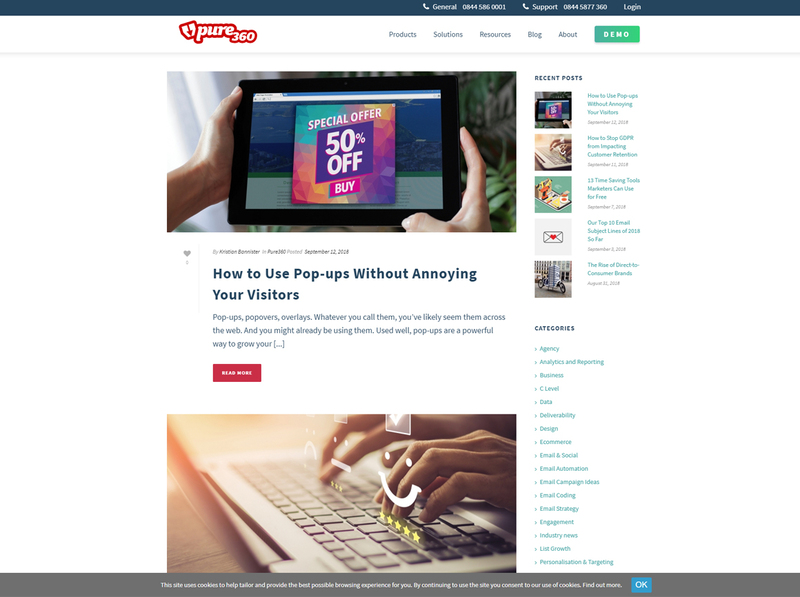 Besides providing a great service, Litmus also provides great content which you can regularly read on their blog. Put this one on your list of must-follow email marketing blogs to receive great tips and resources related to email marketing, information about webinars, conferences, and events, product features and updates, infographics, ebooks, and much more useful content. SparkPost is an email delivery service with sophisticated features that is “trusted to send 25% of the world’s non-spam emails”. The platform maintains a great blog with fresh content being posted every few days covering everything and anything about emails. Among the many categories, you will find subjects on email deliverability, anti-spam practices, security, scalability, integrations, APIs, etc., as well as information about webinars and conferences. Pure360 offers email marketing solutions, cart and browse abandonment recovery, email personalization, and more email related services. The brand’s blog is certainly worthy of following since it covers categories like email deliverability, email and social media cross-channel marketing, email strategy, email coding, list growth, engagement and even more useful content for your overall email marketing strategy. SendinBlue is a service which allows you to send automated emails, marketing emails, transactional emails and monitor the results of your email marketing campaigns. The brand has a great blog in which they post regular tips and advice on email marketing, digital marketing strategy, ecommerce, marketing automation, GDPR, transactional email, mobile marketing and more interesting topics. InfusionSoft is a platform offering customer relationship management, marketing automation, sales automation, analytics and even more services. The brand also has a blog from which you will learn a lot about automation, email marketing, digital marketing, content marketing, branding, public relations, networking, SEO, social media, and advertising. ConstantContact is a marketing email service provider offering various email marketing solutions. 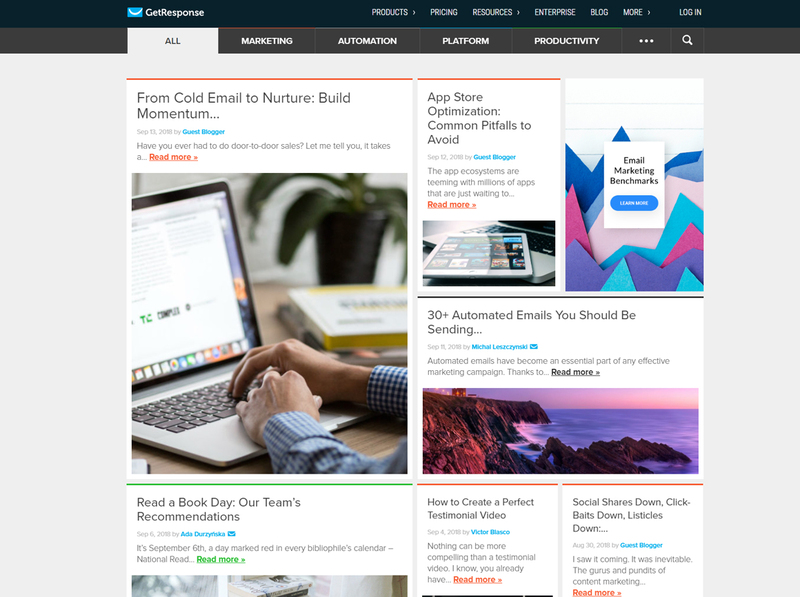 In addition, ConstantContact has a great blog in which they regularly write on useful topics for marketers such as email automation, contact management, email content, deliverability, email design, email and social marketing, email segmentation and many more. 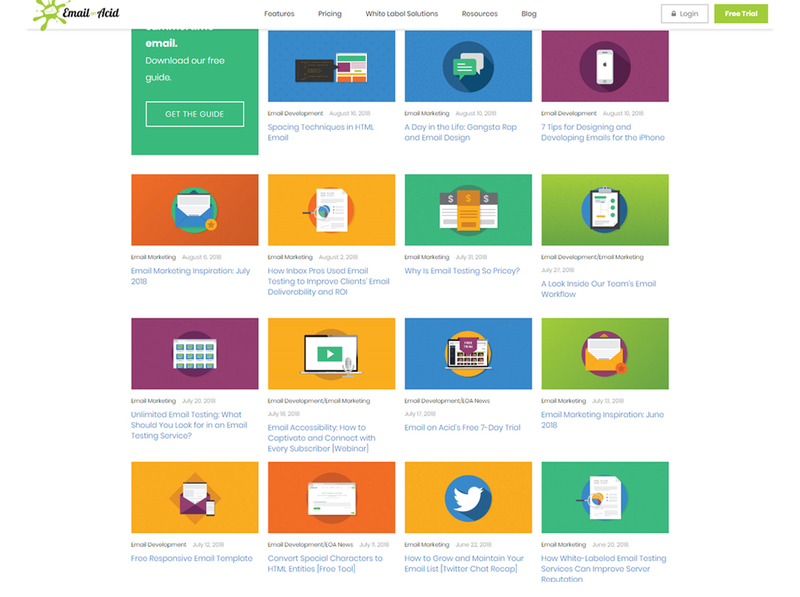 You can also filter the posts by content type such as articles, guides, infographics, webinars, videos and more. 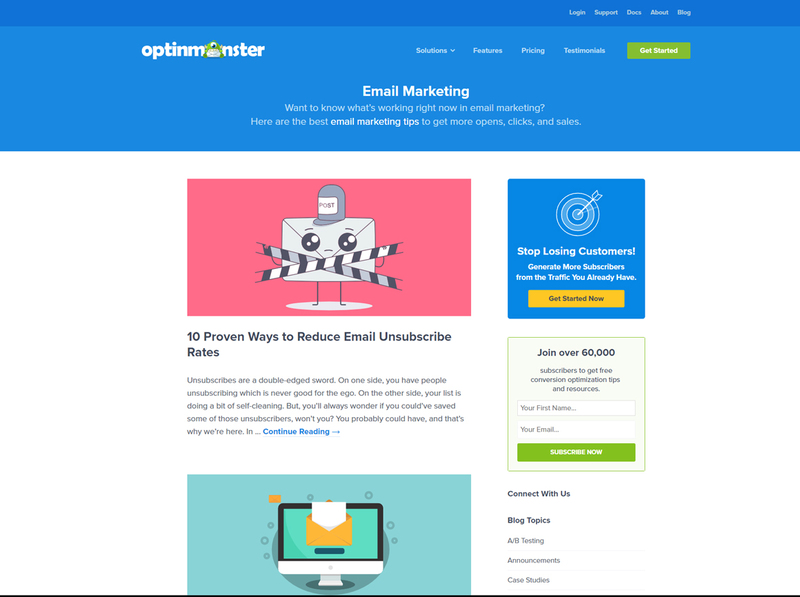 OptinMonster is a famous platform offering email marketing solutions for businesses to grow their email lists, reduce cart abandonment rates, and increase sales conversions. In their blog, OptinMonster publishes great content not only on email marketing but also on A/B testing, content marketing, eCommerce, lead generation, as well as case studies and useful tutorials. 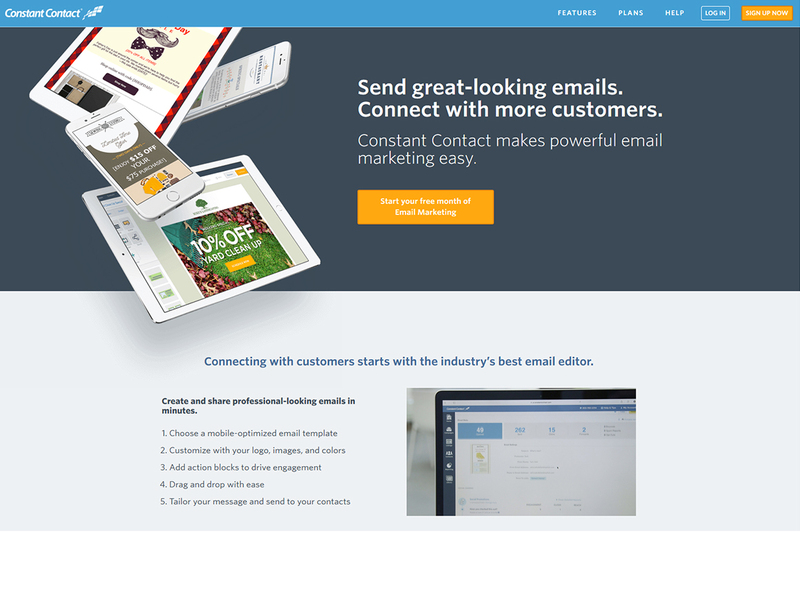 EasySendy is a marketing service for sending mass emails. The brand offers great features such as filtering and segmenting subscribers, providing complete analytics about the subscribers and more. 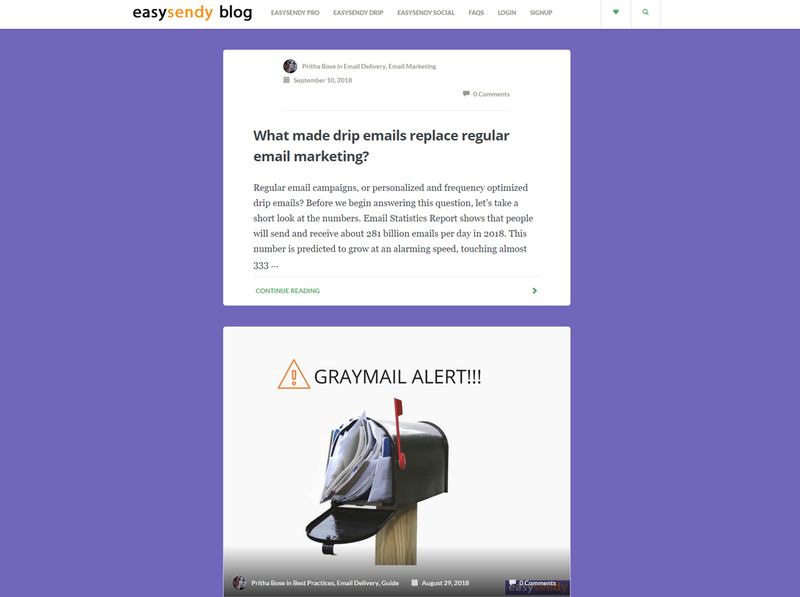 Follow EasySendy’s blog to read useful information about everything and anything related to email marketing. Chamaileon is an email builder software developed to help businesses design and manage responsive email templates. 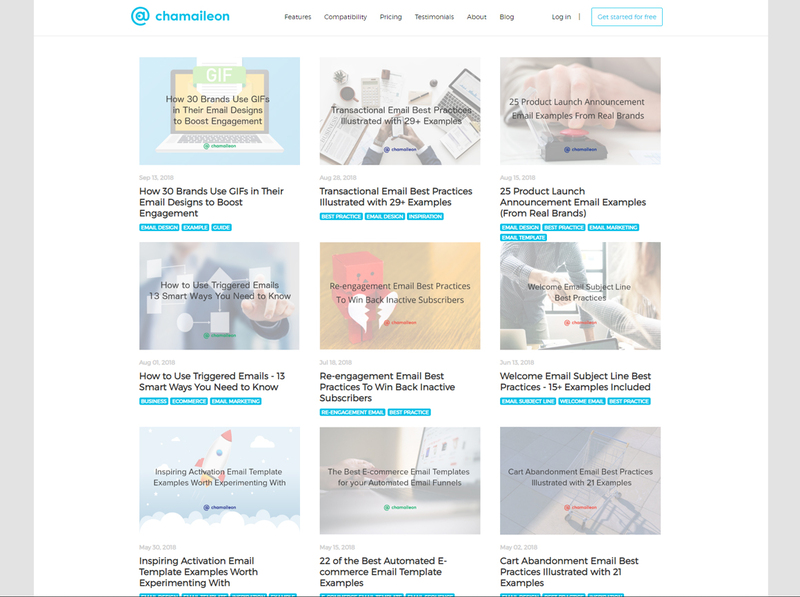 The guys behind Chamaileon maintain a great blog for email marketing, as well. Throw an eye on it once or twice a month to read insightful tips and advice on email marketing. ReturnPath offers various email solutions regarding email deliverability, email optimization, email fraud defense and more email related solutions that every business might need. The brand maintains a great blog covering various areas of topics such as customer success, deliverability, email data, email optimization, email fraud protection, data science, industry news and more. No matter if you are a client of the brand or not, you will find ReturnPath’s blog posts useful for the challenges you are facing with email marketing. 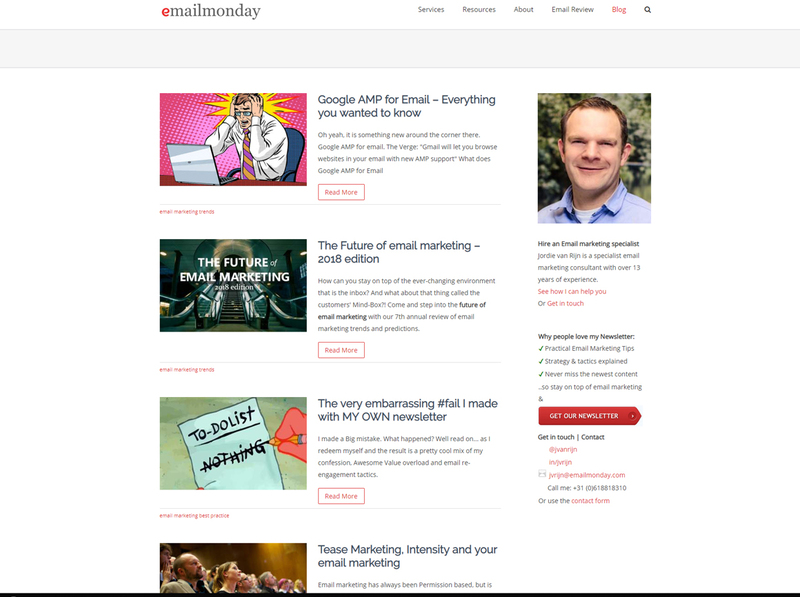 Email Monday is a blog maintained by an email marketing specialist Jordie van Rijn who writes about email marketing best practices, email marketing strategies, trends, email optimization, and pretty much everything related to successful email marketing. 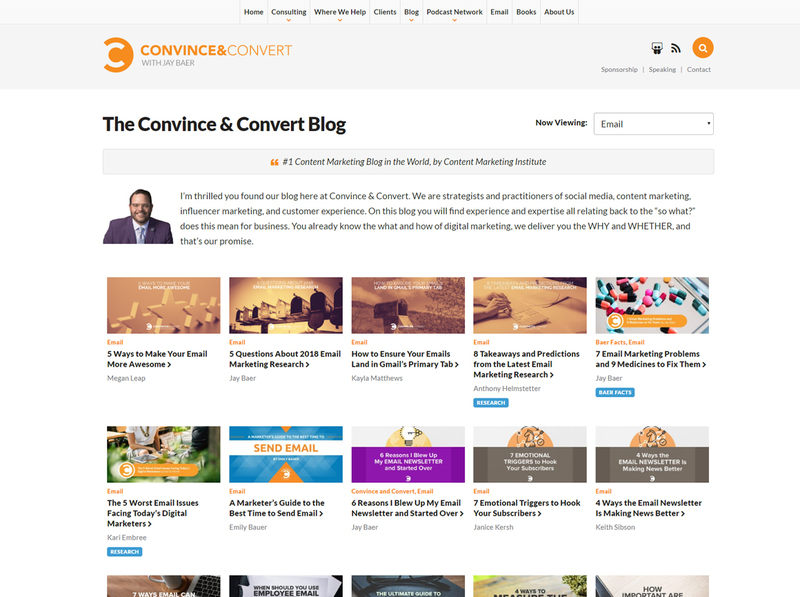 Convince & Convert is a powerful blog media behind which stands a team of strategists and practitioners of marketing in all its sizes and shapes. By following this blog, you will learn a lot about email marketing and all its related fields such as content marketing, digital marketing, social media marketing, influencer marketing and more. Maxemail offers email marketing and SMS software to help you pull off your email campaigns fast and easily. They also maintain a blog which you can check out once or twice a month to enjoy useful articles related to email marketing. 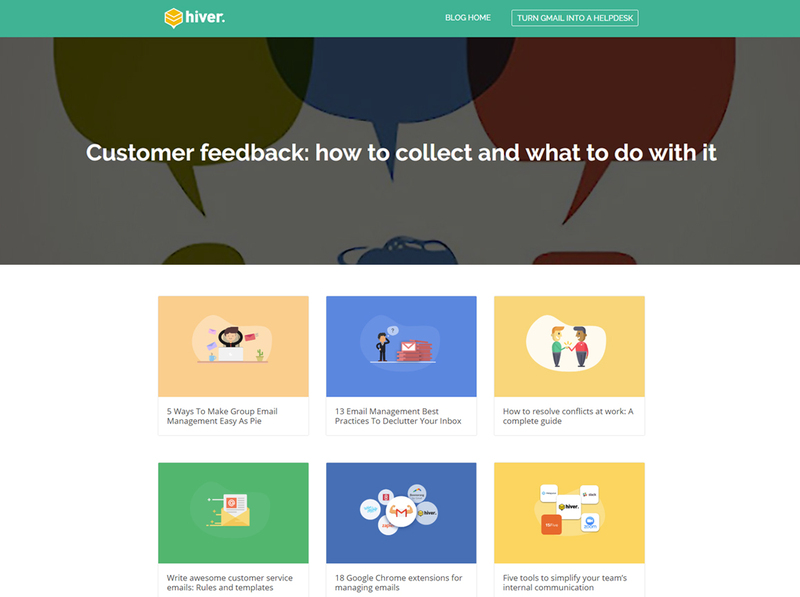 Hiver is an email management platform for teams which lets you collaborate on a shared inbox. In addition, the brand supports a blog from which you will learn a lot about email marketing, collaboration, and productivity. Experian provides marketing services, as well as consumer and business credit reporting. In addition, they have a great blog covering not only email marketing subjects but also all related fields like customer management, advertising, social media marketing, reports and analytics, and more. Mailigen is a service for creating and sending automated newsletters. The brand also has a great email marketing blog that you definitely should keep an eye on from time to time. The content is useful advice, platform updates, and important news in the world of email marketing which everyone involved in the field should follow. 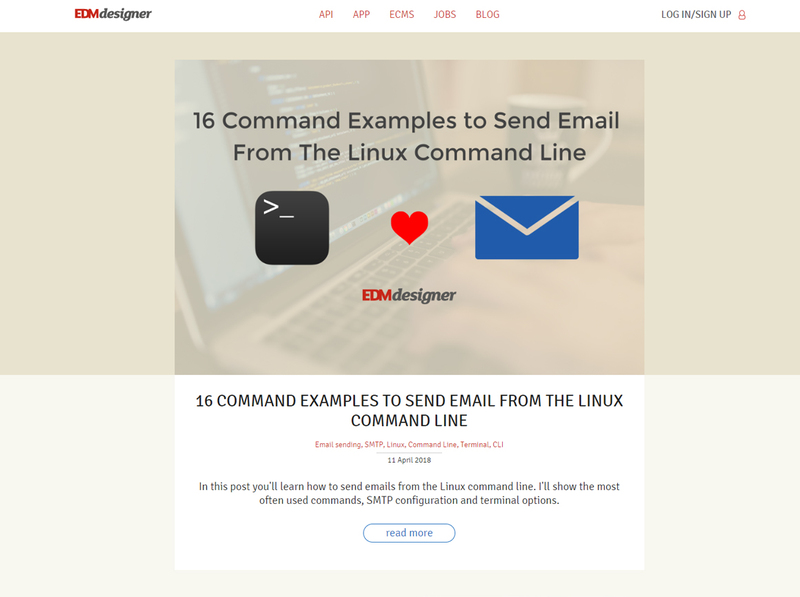 EDMdesigner provides a handy and functional drag-and-drop responsive email editor suitable for all kinds of users and capable of integration into all kinds of SaaS. 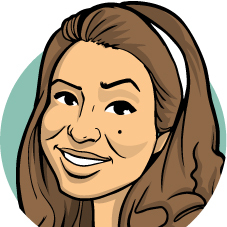 The brand also has a great blog focused on providing practical email tips and tutorials. 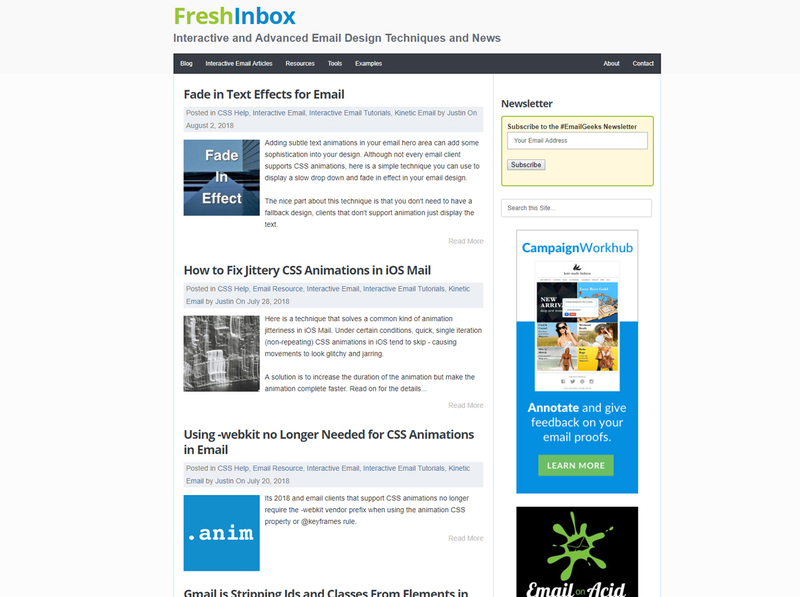 FreshInbox is a blog dedicated to the more technical part of email marketing. Follow this blog to learn a lot about interactive emails, CSS animations and all kinds of email effects that will help you impress your recipients. 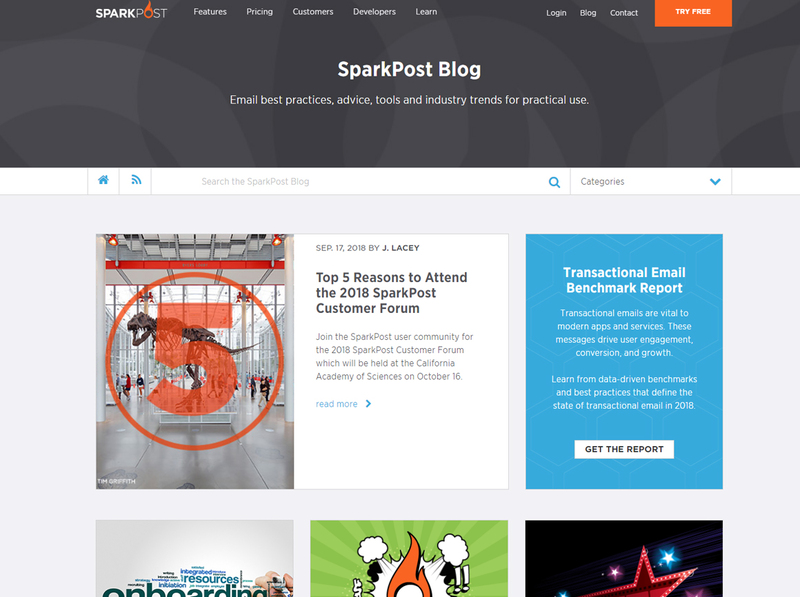 Picked your favorite email marketing blogs? 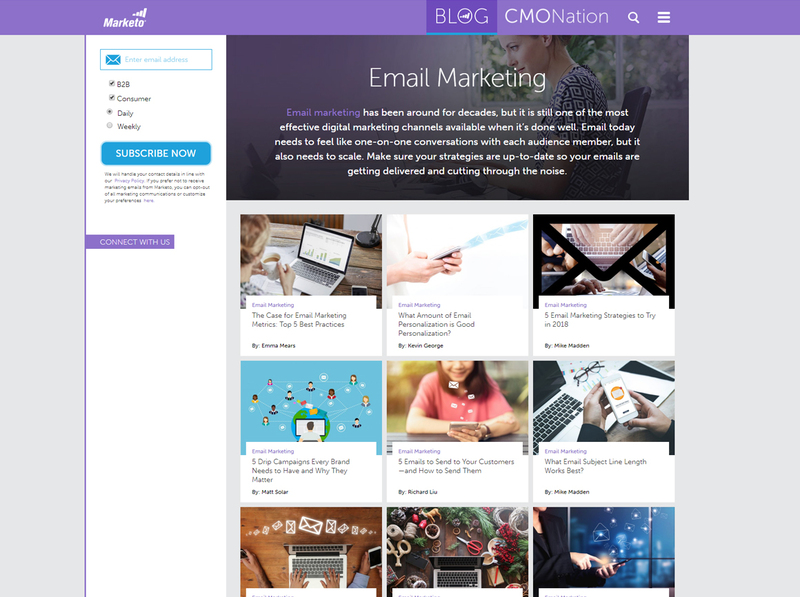 We hope you’ve loved this roundup of the top 30 email marketing blogs on the web right now. If you feel that even more awesome email marketing blogs should make it into this selection, feel free to express your opinion in the Comments below.